Water sharing between Central Asian countries has been conflicting for quite a long time already. 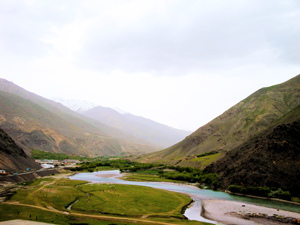 While most of the international attention has focused on problems of water sharing in large rivers such as Syrdarya and Amudarya, hundreds of smaller transboundary river basins (STR) shared by riparian countries also need to be taken into consideration. Water management in such basins have an important impact on future security and sustainability of the region as they contribute up to 30-35% of the irrigation in the region and living place of 1/7 of total population of Central Asia.